Posted on October 12, 2018 by Noah Gecelovsky wrote in Community Events. It has 0 Comment. 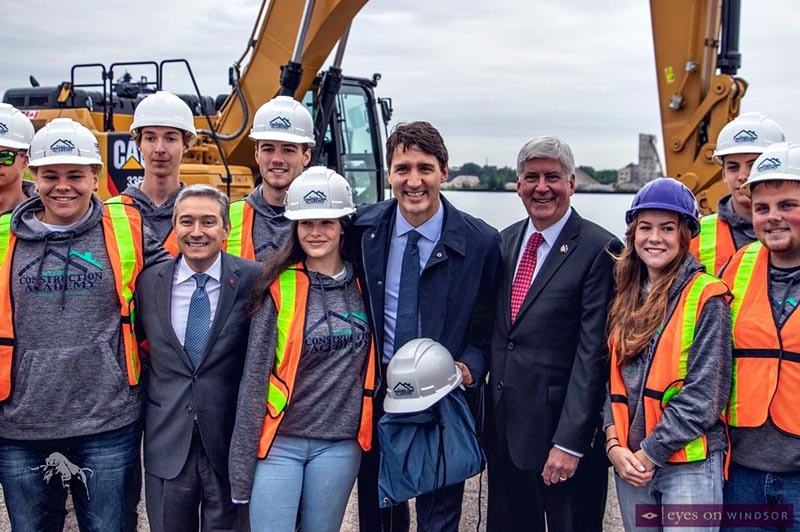 The community and dignitaries from both sides of the border including, Prime Minister Justin Trudeau, Minister of Infrastructure and Communities François-Philippe Champagne, and Michigan Governor Rick Snyder, were in attendance for an event celebrating the official start of construction on the Gordie Howe International Bridge on Friday, October 5, 2018. Prime Minister Justin Trudeau visited Windsor last week kicking off his visit by speaking with supporters during a fundraiser at The Art Gallery of Windsor on Thursday, October 4. In addition, he stopped at the Fiat Chrysler Assembly Plant, Unemployed Help Centre, and Gordie Howe International Bridge official construction start. 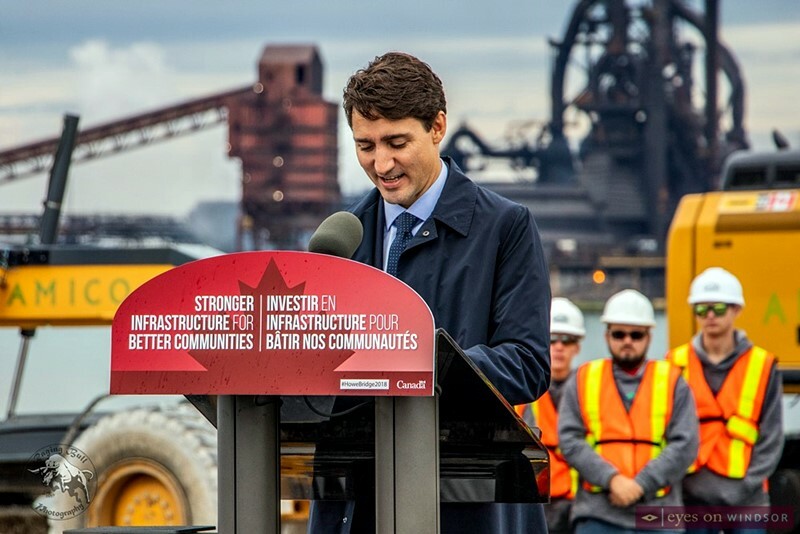 Prime Minister Justin Trudeau speaking during the Gordie Howe International Bridge construction start on Oct. 5, 2018. Photo by Noah Gecelovsky / Eyes On Windsor. The Prime Minister’s visit to Windsor came on the heels of the announcement of the new United States-Mexico-Canada Agreement (USMCA). Details of the agreement still need to be worked out but the new bridge will play a key role in the international trade resulting from the agreement. 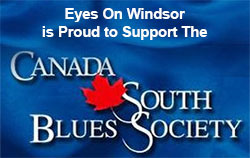 Eyes On Windsor, with a focus on entertainment and events in the region, is excited that the new border crossing can be utilized to get to and from venues in the Windsor / Detroit area where the fun takes place. 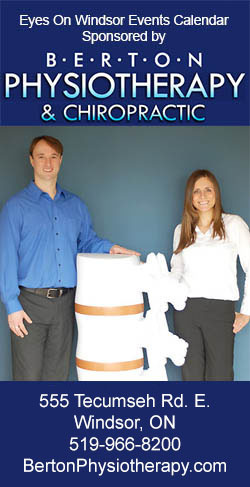 However, the impact on international trade, business, and the economy is what is of most significance. 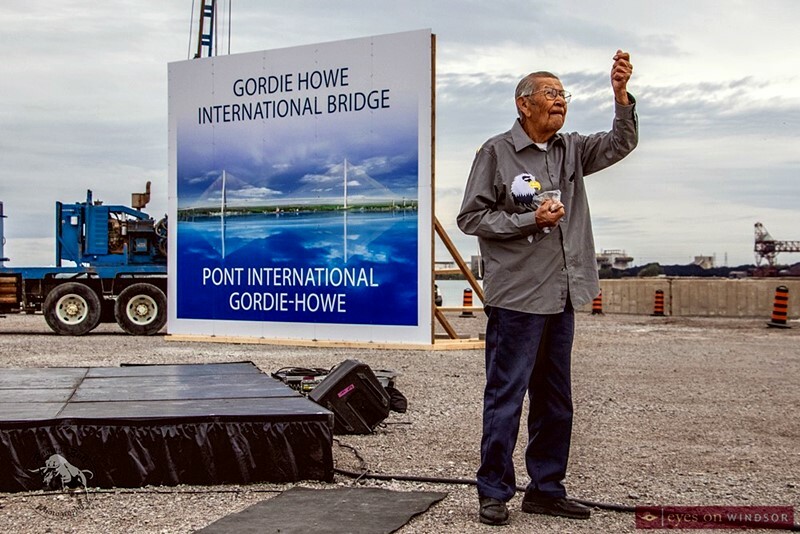 First Nation Walpole Island elder Cecil Eric Isaac says a prayer and blessing during the official construction start of the Gordie Howe International Bridge on Oct. 5, 2018. Photo by Noah Gecelovsky / Eyes On Windsor. The Windsor-Detroit trade corridor is the busiest commercial land border crossing between Canada and the United States, and is critical for people and goods to move across North America. The new Gordie Howe International Bridge will shorten travel times through this important corridor, and create better connections for people and businesses on both sides of the border. 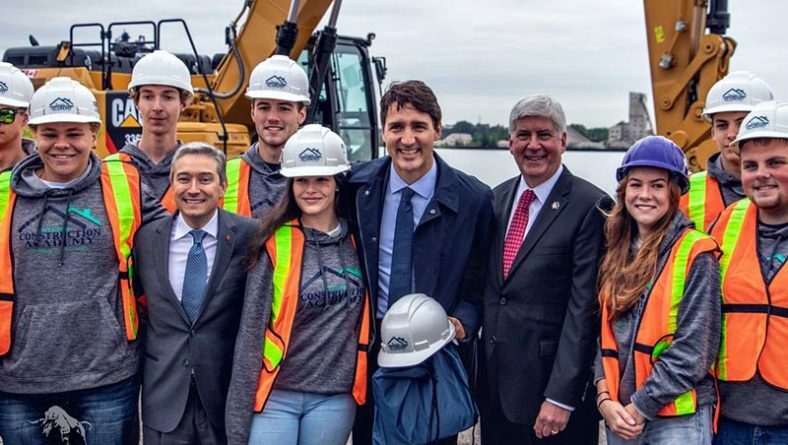 Expected to open by the end of 2024, the Gordie Howe International Bridge will provide direct connections between Ontario’s Highway 401 and Michigan’s Interstate 75. Enhanced border infrastructure at the crossing will also protect our safety and security while making it easier and faster for people to travel and goods to flow between the two countries. Locally, the bridge will benefit residents of Windsor and neighbouring communities by creating good, middle class jobs, reducing commercial traffic on streets, and increasing opportunities for local businesses. 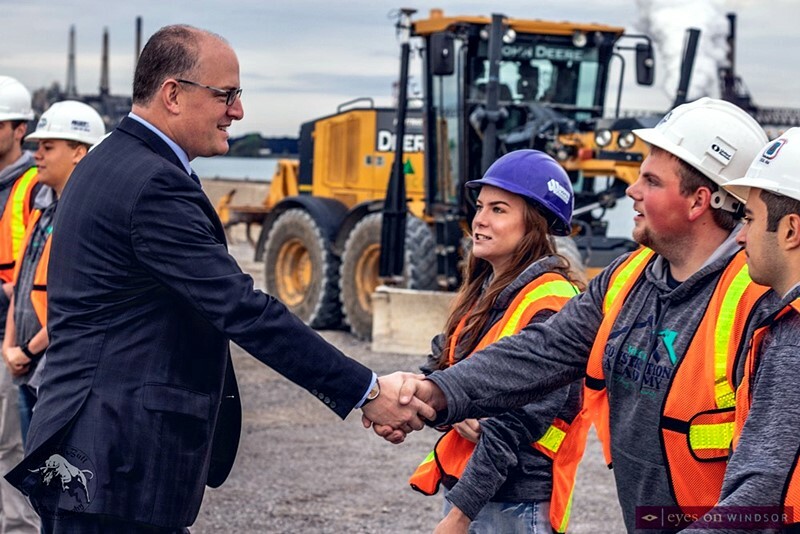 Mayor Drew Dilkens greets Windsor Essex Catholic District School Board Construction Academy students during the Gordie Howe International Bridge official construction start in Windsor, Ont. on Friday, Oct. 5, 2018. Photo by Noah Gecelovsky / Eyes On Windsor. 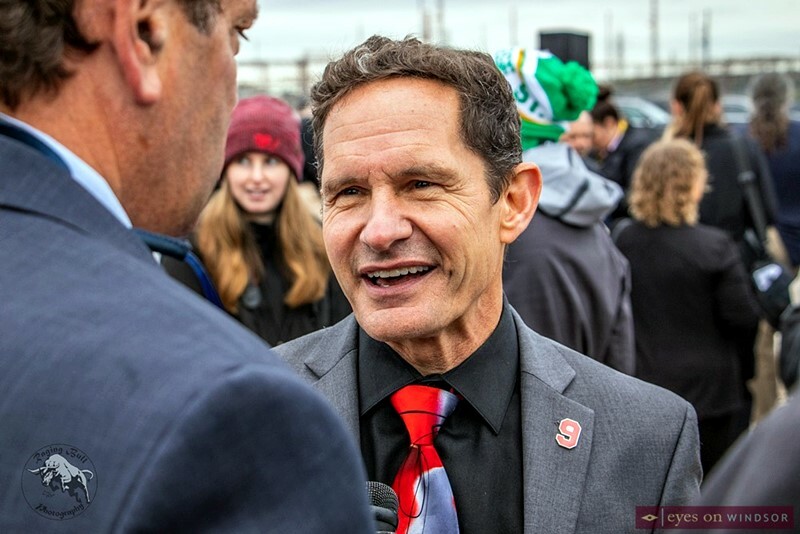 Dr. Murray Howe, son of Gordie Howe in Windsor, Ontario, during the official start of construction of the Gordie Howe International Bridge on Friday, Oct. 5, 2018. Photo by Noah Gecelovsky / Eyes On Windsor. The Gordie Howe International Bridge project includes the construction of a six-lane, cable-stayed design bridge with a clear span of 853 metres (0.53 miles) and a total length of approximately 2.5 kilometres (1.5 miles). It also includes new Canadian and U.S. ports of entry and approach bridges, border inspection plazas, tolling operations, and an interchange in Michigan connecting Interstate 75 to the U.S. port of entry. Windsor-Detroit Bridge Authority (WDBA), a not-for-profit Canadian Crown corporation, is responsible for the delivery of the bridge project through a public-private partnership. In addition to managing the project agreement between itself and the project’s private sector partner, Bridging North America, WDBA will set and collect all tolls. The Windsor-Detroit trade corridor is the busiest Canada-U.S. commercial land border crossing and is vital to the economies of Ontario, Michigan, Canada and the U.S. Approximately 7,000 trucks cross the corridor each day, and about 2.5 million trucks each year. In 2017 over CAD$173 billion (US$133 billion) in bilateral trade passed through the Windsor-Detroit trade corridor, which is 23 per cent of the overall Canada-U.S. trade. Canada and the U.S. share the world’s longest secure border, over which about 400,000 people cross daily. The two countries also exchange goods and services worth approximately CAD$2.5 billion (US$1.9 billion) every day. 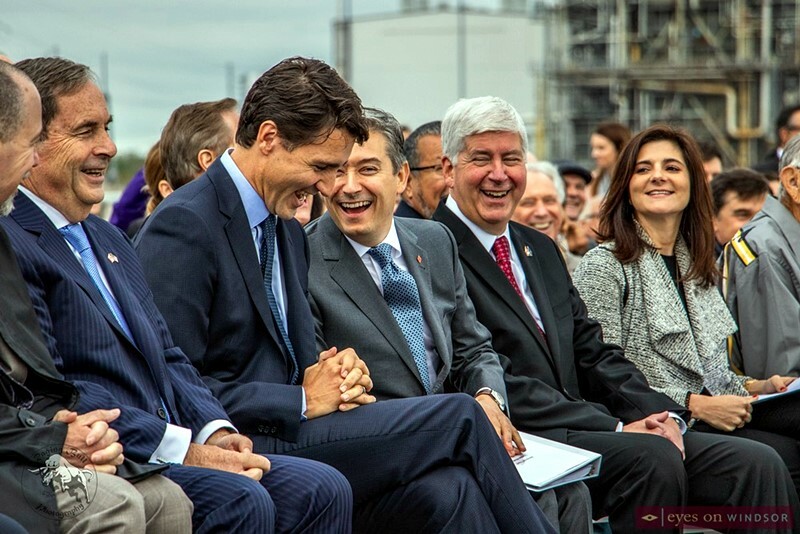 Prime Minister Justin Trudeau, Minister of Infrastructure and Communities François-Philippe Champagne, and Michigan Governor Rick Snyder laugh while attending the official construction start of the Gordie Howe International Bridge on Oct. 5, 2018. Photo by Noah Gecelovsky / Eyes On Windsor. 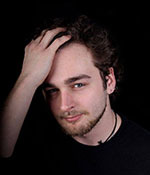 Noah Gecelovsky is a young photojournalist and St. Clair College journalism program graduate. He has covered events across Windsor-Essex County for the college’s Scene Magazine and the MediaPlex. 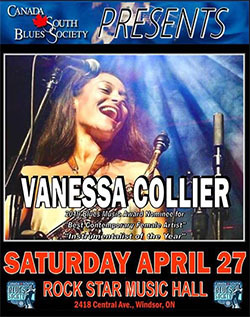 As a freelance photographer, he has shot bands in cities across Southwestern Ontario and Michigan. When on the opposite of the camera lens, Noah is the talented drummer of Blues rock band, The Dead River Kings. Since 2017, Noah has offered freelance photography services as Raging Bull Photography which can be found on Facebook and Instagram.